SPOT ON! OPENING – CELEBRATION OF DIVERSITY The official opening event of the festival with fashion presentations and performances directed by Joost Horward in cooperation with Nina Willems, and students of Theatre Academy Maastricht Nora Ramakers and Benjamin Abel Meirhaeghe. The evening featured costumes by Tiel Janssen, ethnical costumes from the students of KABK The Hague and Antwerp Academy Fashion Department and preview of FCF2016 participants. With live music by Oriental Nights and Liana. Thanks to students from Theatre Academy Maastricht and Vasilis Apostolatos (light design). Hair and make-up: Kevin Murphy and M.A.C Cosmetics. Photography by Team Peter Stigter. 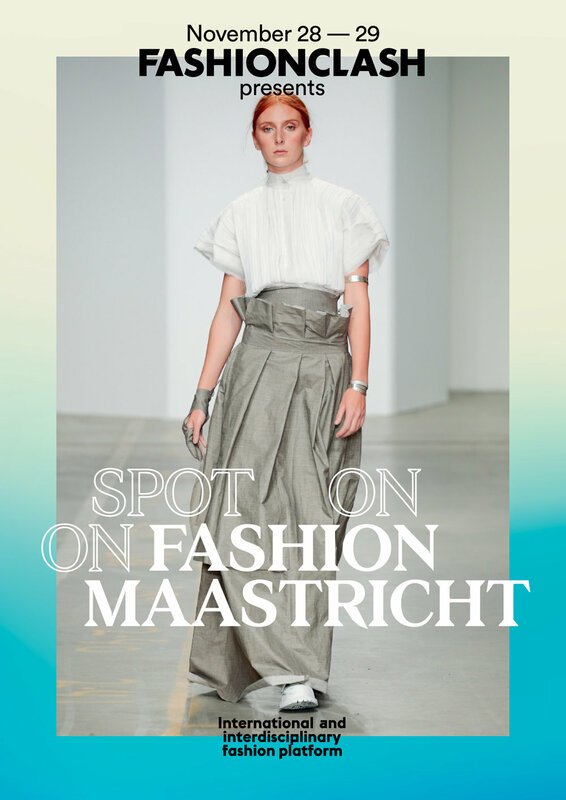 This multidisciplinary exhibition represents the quality of craftsmanship and a broad spectrum of fashion design aesthetics of talented designers who are linked to Maastricht. The presented work stands out for its textile and material research, innovative tailoring or the conceptual approach. This exhibition gives a glimpse of authentic ideas offered by a new generation of visionaries that are shaping the new history of Maastricht, a city with a long tradition of arts and crafts and known for its sense of style, quality of life and dynamic cul- tural scene. Most of the featured designers are alumni of MAFAD, the Maastricht Academy of Fine Arts and Design. Among them you can see pieces of designers that are successfully emerging and work of the latest generation of fashion design graduates. Participants: Anna Gregor, Bluedenîmes, Danielle Vroemen, Ebby Port, Edmeé Jongen, Gabriel Guevara, Jessie Beurskens, Joelle Boers x Sofya Samareva, Julia Aumann, Julia Schmitz, Marsha Kessels, Maarten van Mulken, Lotte Milder, Linda Friesen, Linda Maissan, Marlou Breuls, Mieke Kockelkorn, Mona Steinhaeusser, Minou Lejeune, Reinder Schmidt, Renate Cuiper, Strikks, Verena Klein and Sem Shayne. Thanks to: VVV Maastricht, Gemeente Maastricht, Centrummanagement Maastricht, Studio Noto and All SpotOn! contributors. FASHIONCLASH Spot On! 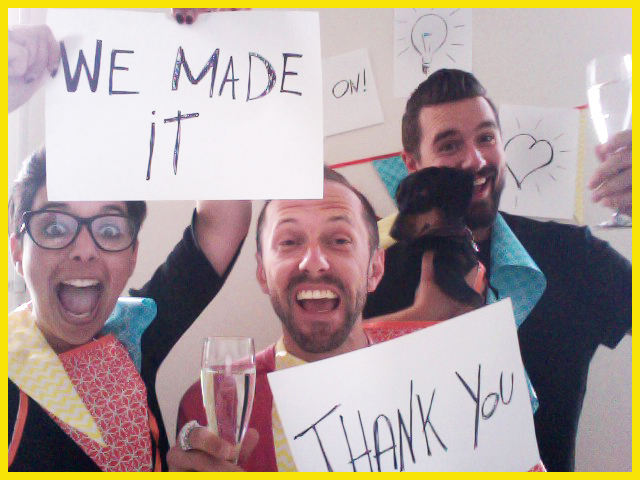 crowdfunding campaign has ended with great success! THANKS to everyone who donated and supported the campaign. Special thanks to Provincie Limburg! Now we can invest in basic equipment that will enable us to go mobile and tour with our platform. We can present designers in various events and throughout the year. We can pop-up with performances and fashion presentations on various surprising locations in Maastricht but also elsewhere. Thank you! FASHIONCLASH Spot On! The most progressive fashion festival in Europe is pulling out all the stops. Fashion will clash more with the city and the broader cultural field. The festival will no longer be bound to time and place! FASHIONCLASH Festival 2016 will be a completely new experience. By becoming mobile, FASHIONCLASH can appear at special locations, events and in other cities as well. To be able to realize this transformation, a basic infrastructure needs to be bought. The campaign FASHIONCLASH Spot On! attempts to raise 30.000 euro in order to make this happen. The money will completely go to the purchase of professional material like lighting and material that is suit to give fashion presentations of the FASHIONCLASH-standard. Help support this new chapter of FASHIONCLASH Festival’s journey and help increase the platform for young talent! All donations receive fun packages in return to see what you’ve helped create. Visit www.voordekunst.nl/fashionclash and contribute! FASHIONCLASH Festival gaat crowdfunden! Het meest progressieve modefestival van Europa wordt volledig op zijn kop gezet. Mode gaat nog meer clashen met de stad en het culturele veld in binnen- en buitenland. Het festival zal niet langer gebonden zijn aan tijd en plaats! FASHIONCLASH Festival 2016 wordt een geheel nieuwe ervaring. FASHIONCLASH Festival wordt mobiel en zal op bijzondere locaties, events en steden opduiken. Om dit te kunnen realiseren, moet er wel een basisuitrusting aangekocht worden. De actie FASHIONCLASH Spot On! gaat proberen om 30.000 euro op te halen. Dit gaat volledig naar de aankoop van professioneel materiaal dat geschikt is voor het organiseren van modepresentaties van FASHIONCLASH-kaliber. Help mee dit nieuwe hoofdstuk van FASHIONCLASH Festival te ondersteunen en help daardoor het platform voor jong talent te vergroten! Voor alle donaties zijn er leuke tegenprestaties die het mogelijk maken om het resultaat van uw donatie te bekijken. Ga naar www.voordekunst.nl/fashionclash en doneer!